Located at Av. da República, close to Saldanha, it is a wide and quiet space, where several companies and professionals work, occupying one or more work stations, using the support of a professional secretariat, meeting and work rooms. The Avila Spaces was specially designed for the modern professional, who needs a prestige address, with good accessibilities, comfortable work spaces and suitable to receive your clients and business partners. As an option, the Avila Coworking offers you also the most complete virtual office service in the market: you have at your disposal a secretary who answers the phone calls in the name of your company, transfers calls, receives correspondence and reports all subjects through the myOffice app and email. Wherever you are, you are in touch your office! In the same floor of the Avila Spaces, works the Avila Business Centers, which may be used by you whenever you need! It is the ideal place for meetings, training actions or workshops with a more formal character. Two environments which complement themselves, keeping the same professionalism! Are you a member of Avila Spaces? At More Results we have been using the Avila Coworking Spaces for years and we always enjoy great working conditions and great service. Carlos , Rafaela and the the entire team are always very attentive and very focused on anticipating our needs. The Avila Team consistently goes the extra mile. It is a pleasure to work with such great people. Carlos organizes interesting networking events which help us to connect to other professionals. We actually had the chance to meet one of our most important clients through Avila. Avila gives us a sense of belonging to a caring community that shares comoon values, a community that likes connecting, sharing and learning from each other. "The most cosy and friendly cowork space in lisbon"
The wifi and all the comodities are excellent. Everybody is empathic and friendly. The people/companies who work there promotes networking and they share and help each other. It is a productive environment with a good comunity and very social one. Special word for the amenities, they are excellent, always fresh fruit and good coffee. All the space is well decorated with several zones that allows us to feel at home. Specific spaces for webminar, private calls, meetings, trainings, etc. Monthly, Avila promotes Breakfast & networking workshops that are excellent and powerfull. Also it took place several seminars for update issues. Cool place, it is in Saldanha, a mist of residencial and working Zone. More than good Area, Avilla is located just in front of the Metro. Nearby the coworker you can find some good restaurants such as Little Italy, Rabo do Peixe and Fabrica dos Sabores. The CW is a calm and cool place with interesting and educated people. Carlos the owner is the best guy in Lisbon. He is interested on what you are doing and how you can evolute wit your ideas. Everything is were it should be, from the music to the cafe. I just Love being there. Avila is a boutique cowork, very well decorated, organized and with a great environment. I'm a frequent coworker in Avila for the last 3 year and I've followed the evolution of this cowork space, from the being the first cowork in Lisbon to the best boutique cowork space in Lisbon. I go to work there when I need to focus and work, but also for networking. There are regular networking events to work, relax and enjoy! Carlos, the CEO, is an expert in work places and applies all his knowledge making Avila a perfect work place in Lisbon. I wish you all the best Avila! 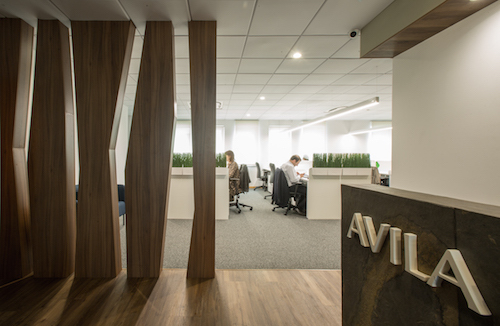 "amazing option for work and strategic business partner"
I'm a regular user of Avila Spaces as it offers all that I need for my work, while I have to be working in Lisbon. The location could not be better, the facilities are superb and the staff is very friendly and helpful. Also it appeals very much how comfortable one feels staying there and can see the city rushing by while you can relax doing your work, what a great feeling. All said, I could not recommend more Avila Spaces as the best cowork in Lisbon and certainly one of the best in Europe. Go on and try it, you will be more than happy by doing so. Thank you, Ávila Spaces! Thanks for your review Bruno! There are few places like this! At Avila Coworking I found a workspace environment transformed by technology, mobility and netowrking. 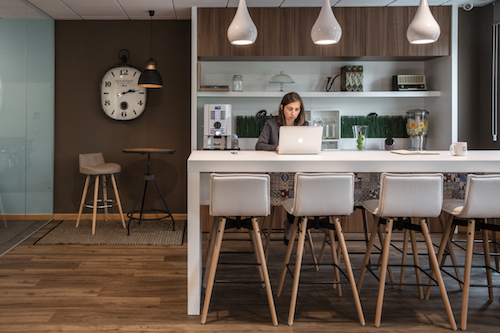 New business models need more efficient spaces while requiring small footprint and Avila is representing the future of workspace. It's so nice to have an office where I can show up at any hour and it be warm and comfortable to work from. The location suited our needs perfectly and booking was made quick and easy. The staff are not only professional, friendly but very helpful. At Avila Coworking you feel like you were at home. …Keep up the good work! Ávila Spaces is a great coworking space, in the heart of Lisbon. Its facilities are state of the art ( meeting room, video-conference room, lounge area, kitchen and meal space etc.) and the staff is very nice. Besides this, there are frequent workshops (which cover various areas as change management, project management, data protection and even wine tasting) and networking sessions which all the members can attend for free. There is even a running group - Ávila Runners - that participates frequently in races in the Lisbon area. Overall it is a very comfortable and productive space, highly recommended anyone who wants to run their business in Lisbon! "Amazing space, highly recommended. Must visit & Must try!" "My experience with Avila Coworking"
Perfect exquisite coworking and business office. Top business place for all worldwide class companies where we find the best work-social balance. A place with easy access from airport with direct underground connection door to door and top restaurants at walking distance. Staff and management fully dedicated to our requests and desires. Definitely a coworking boutique to be considered by both national and international business men seeking charm and executive environment. top workshops and networking events all year round. Living the Avila Coworking experience is an inspiration to our business development. We got connected to Avila Coworking 4 years ago and, since then, we fully enjoy our business there. "The most personalized Coworking space/experience I have had." I have done a good research for a Coworking space in Lisbon before choosing Avila, and the choice was pretty easy after my first visit. I was mesmerized, not just with the excellent overall esthetic of the place, extremely well designed. But most of all the service, from the owners to the rest of the collaborators, everyone is exceptional at their job, and making sure people feel comfortable, providing the most personalized experience possible. Every suggestion or tip for improvement is taken seriously by the management, which makes the space continuously better. Last but not least, there is always great music playing on the lounge. I have been working at Avila Spaces for 6 years and I really enjoy it. It is as I was at home. For sure is the best place for you to work. From a work lounge, workstations to offices (of various sizes), you can choose whatever suits you best, during each stage of your business development. Many workshops and networking sessions are hosted here and you get the chance to meet new people and new business contacts. 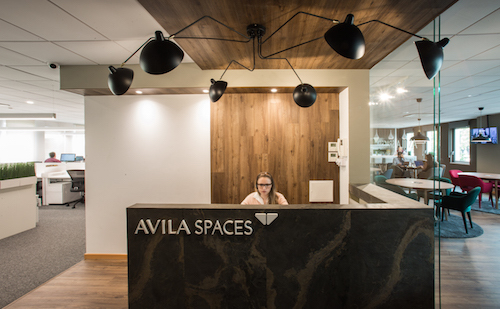 Avila Spaces is leading the work space innovation, which technology increased the pace of innovation and obsolescence. Cozy, modern, technologically updated and lots of other perks and that will surprise you every time. Ambiente Acolhedor e profissionalismo ! Utilizei a sala de reuniões, foram pontuais e organizados. A sala disponibiliza toda a condição para reuniões e pequenos work shops. o Avilla esta constantemente promovendo work shops muito interessantes , e atuais. Alem de tudo, promove abertura , e imenso network. Fui recomendada por uma pessoa no Brasil, e garanto que superou as minhas expectativas. As salas sao bem estruturadas, e ainda existe uma cabine para momentos que necessitem mais privacidade. para os fumadores ( nao e o meu caso) também existe um terraço bastante interessante. Pretendo usar muito mais vezes! recomendo e indico! Muito obrigado Samia, Será sempre bem-vinda ao Avila Spaces! "Excellent place for focusing and with great network opportunities"
This as been the ideal model to kick-off our new Artificial Intelligence Business! 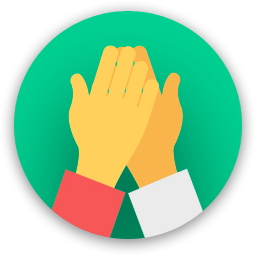 we have enough space for our small team of five, a great daily support from all the people who are working in Avila Spaces, a well designed office, with all the devices that are needed, a great spot to meet with our business partners, as well as excellent meeting rooms. Because of the several events that are planned, which are very relevant to us, the shared spaces and the very good environment, we can extend our networking to other new companies and new interesting people that are just around us everyday. Fantastic location! Fun-tastic people. Right in the center of Lisbon. The right place for start ups that want to provide B2B services, with dozens of prospects headquarters around. Confortable space and furniture, nice people, and a productive environment. Services that help you to be more productive and people to build networking. Lots of events, before and after work, allowing coworkers to develop their knowledge in subjects that are usefull. Coffee is great and there is always fruit available. The meeting rooms are confortable and they difere in terms of size, that allow us to chose the best option for each meeting. Congrats! Great service, always attended. Decoration is second-to-none. Could not imagine a better place to work!! Great Great Great Great Great Great Great GreatGreat Great Great GreatGreat Great Great GreatGreat Great Great GreatGreat Great Great GreatGreat Great Great GreatGreat Great Great GreatGreat Great Great GreatGreat Great Great GreatGreat Great Great GreatGreat Great Great GreatGreat Great Great GreatGreat Great Great GreatGreat Great Great GreatGreat Great Great GreatGreat Great Great GreatGreat Great Great GreatGreat Great Great GreatGreat Great Great GreatGreat Great Great GreatGreat Great Great GreatGreat Great Great GreatGreat Great Great GreatGreat Great Great GreatGreat Great Great GreatGreat Great Great GreatGreat Great Great Great!!!!!!!! Excellent location to work, with cool atmosphere, zen music, colorful spaces and friendly people to help you just in case. And - it's not a detail! - it's quite in the city center! I recommend it! Everyday, you'll find fresh fruits, newspapers and cleaned spaces, besides comfortable chairs and armchairs if you want to have a break. Very interesting for all those that can't work at home and need to have a office atmosphere to product, just like it was the case for me, but don't want a lot of noise around. In fact, it was a perfect experience for me. The Avila Businees is the ideal space on the ideal local. With this space we find everything we need to work. people with sympathy, dedication and enthusiasm. A space to recommend. Unique space in Lisbon. Well there's nothing like visiting it and seeing it with your own eyes. Enjoy. Local of meeting and dissemination of ideas. Of meetings and disagreements sometimes but this is what makes this place unique and desirable. Cooworking presents very good conditions and the working tools are exceptional. This is the local to visit, work and enjoy. Ah with one of the best restaurants near of the officce. I really enjoy Avila spaces to work! The place is cool, with a great ambient music which creates a good and soft atmosphere to work and concentrate. Very good wi-fi, comfortable furniture, great place to eat, excellent rooms for meetings as a charming lounge room. Its located in a privileged area in the central Lisbon with a shopping nearby, lots of restaurants and very well served by public transportation, as metro. I also recommend Avila Coworking for everyone who wants to improve their social network because of the many interesting startups and great companies placed there. Everything I need I get there. Avila Coworking has a very comfortable and cozy lounge with an interesting diversity of coworkers! The location is very good! Is is located in one of the most amazing streets in Lisboa, very central with all mobility options available: by foot, by bike, metro, ... and you can easily go to from every part of the city. You can walk around and visit interesting places like Gulbenkian, Versailles café, Campo Pequeno, Ávila Street, Marquês do Pombal, Public Libraries, you can take a break and go out for a movie in one of 3 or 4 movie theaters nearby. Coffee is good and free! Avila Spaces is a wonderful place to set up your business. This cowork space offers a wide range of services which are very helpful in a daily basis. The location is great with all kind of public transports and public services. The staff is very kind and helpful. The space is modern and comfortable. The areas to rest are good. There is an area to eat your meals. The services include coffee and water. Comparing to other cowork spaces Avila offers a good relation in terms quality and price. Moreover, Avila offers regular workshops and help businesses to expand their network. "Comfortable, great location and cool"
I really liked my experience in Avila Coworking! I was in an event about General Data Protection Regulation - GDPR (which means that it is a socially active space and alson was open to the public) and I felt really good. The chairs were comfortable and they have many types of space/areas to work. There is a nice kitchen, well equipped, with cups, mugs, coffees and other things. The location is great, because it is in front of the red line metro and beyond that the place is very beautiful (very cool decoration and clean). Last but not least the wifi was great and the bathroom was super clean. "Avila is a really good cowork office in the city centre"
Avila is located in the middle of Lisbon's arguably most important business district. It is accessible by public transportation and it has a subway station right in front of the entrance. I particularly like the relaxed atmosphere, the proximity to other services such as post office, restaurants, etc, and the mixed up variety of companies, start-ups and freelancers that make up its clientele. Generally the WiFi, printers, booking of meeting rooms and all other services work pretty well. The staff is very nice and helpful. I'd definitely recommend to give Avila a go if you're looking for a cowork office in the city centre! I chose Avila by recommendation, and to date I have absolutely nothing negative to point out. They were flexible to ensure the services my company needed. Excellent personal environment, all the equipment and workspaces at the cutting edge of technology. Well trained staff, very responsible in the respective roles, with quick response to any eventuality. They are in constant evolution, mindfull to the changes and necessities of the market. Always available to help and support our various difficulties. The myoffice service is a valuable bonus, real-time monitoring of all incoming mail, phone calls, messages, etc. 100% satisfied with my choice, they have been a major support in building my company. 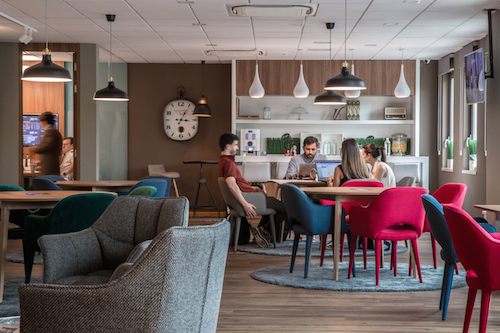 "Great place to work to relax and to enjoy"
I would say that Ávila Spaces is the best coworking option you can have in Lisbon to start or to growth a business. The staff are really great, the working conditions are perfect, the location couldn't be better right in the city center and the atmosphere it's a great help to increase productivity, but also to relax and enjoy. The office is very functional because it has separated areas for meetings, for work , to eat or drink coffee, or even to talk on the phone privately. It also as an outdoor area where you can have an informal meeting or drink a coffee enjoying the great weather in Lisbon. This cowork space has a very warm and welcoming ambiance. Carlos Gonçalves makes sure everything is set in place and taken care of. The facilities are fully equiped with details that make all the difference. For example, the energyzing coffee and daily fresh fruit. Located in one of the main arteries of Lisboa with easy access for private and public transportation. In the back has a terrace to get some fresh air and sun in those summer days. Inside has plenty of meeting rooms or phone booths to get make conf calls without annoying others. The lounge area is unique with state of the art decoration and confortable sofas to have meetings or just relax for a break. I had the chance to meet other locals and foreigners that shared the space and have interesting insights of their industries. O Avila é isso mesmo. Um espaço 5 estrelas com uma atmosfera fantástica, um ambiente cheio de luz natural, moderno, bem equipado, tranquilo, acolhedor e com uma equipa de colaboradoras extremamente simpáticas e eficientes. Bem localizado e com preços competitivos, é um espaço cheio de possibilidades e oportunidades de negócio. Seja através do networking, do hotdesking ou de uma secretária individual, ou até mesmo através dos workshops gratuitos, a possibilidade de crescimento das empresas é brutal, nem que seja apenas pelo uso de uma das salas de reunião para fazer uma simples videoconferência. Dispõe ainda de um terraço para aqueles momentos de descontracção tão importantes nos nossos dias stressantes e agitados. Muito obrigado pela recomendação, Rita! Avila Coworking is the best place for work and creat great partners. 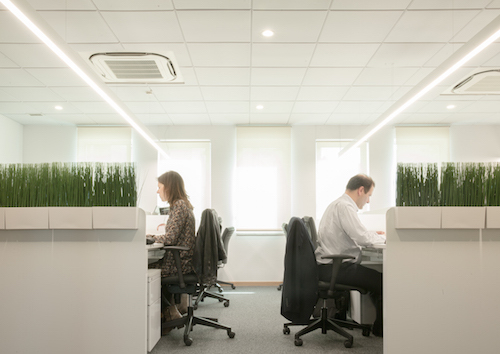 Is the best office solution with a turn key service in the heart of Lisbon and the centrality, the well-being, the services included and the technology are some of the most important aspects. Avila Spaces can provide me these requirements. I become a part of the community and participate for free in many events and initiatives. All offices i use are furnished and equipped with fibre optic and telephone linked to a central at the reception. These rooms have a direct phone line with the possibility of filtering the calls through our secretaries that attend in the name of the company. O Ávila Spaces em Lisboa está extremamente bem localizado, de fácil acesso, com estacionamento e transportes públicos mesmo ali em frente, muito bem organizado, limpo, moderno, super confortável, excelente wifi e simpatia de todos os colaboradores. O ambiente é acolhedor, está muito bem equipado e organizado, e apesar de ser um espaço partilhado a privacidade é total! Muito fácil de marcar (via app) e permitiu-me fechar um grande negócio com um cliente... Recomendo a zona ao ar livre (lounge) que permite fugir à rotina e ao estereótipo que o trabalho tem que ser indoor.... Sempre que tiver reuniões na zona de Lisboa contem comigo!!! Obrigado Ávila! Caro Óscar, agradecemos a sua review! Se está à procura de um lugar onde possa exercer a sua atividade de forma profissional, mas ao mesmo tempo tranquila, o Avila Coworking é o lugar que anda à procura. Com espaços, equipamentos e planos adequados às necessidades de cada empresa e de cada empreendedor é sem dúvida um lugar de excelência para todos. Um local que lhe permite expandir a sua rede de contactos e aproveitar eventos de networking que podem significar verdadeiras oportunidades de negócio e de crescimento a vários níveis. Se ainda não conhece este espaço não perca mais tempo e aumente as possibilidades do seu negócio. Muito obrigado pela sua review! "Melhor espaço de trabalho!!!! " O AVILA SPACES veio responder sem dúvida às novas tendências e métodos de trabalho. O espaço de Cowork valoriza muito a imagem corporativa, dispondo de todas as condições de conforto e privacidade. Nas salas de reunião e no lounge pode-se fazer telefonemas, videoconferências, reunir com os clientes e parceiros de negócio. A localização é nas zonas mais nobres e centrais da cidade de Lisboa: Av. da República e Av. João Crisóstomo (junto ao Saldanha), em modernos edifícios de escritórios. É o espaço de trabalho mais premiado em Portugal que aposta continuamente na qualidade e inovação dos serviços. O conforto e ambiente do local trabalho é essencial para o equilíbrio e bem-estar, e o Avila é seguramente o espaço apropriado para quem busca estes ideais. Parabéns a todos os membros (equipa e parceiros) que fazem parte desta grande família. Muito sucesso! Cara Rafaela, agradecemos a sua review! O Coworking do Avila Spaces é sem dúvida um excelente espaço para trabalhar. O espaço é bastante amplo, acolhedor e a luz natural é óptima. Outra mais valia é o acesso directo ao exterior onde existe um terraço bastante agradável onde é também possível trabalhar ou simplesmente apanhar um pouco de ar. A decoração do espaço é simplesmente fantástica... Para quem precisa de um pouco mais de privacidade tem sempre a possibilidade de utilizar as phoneboots ou as salas de reunião. Os eventos gratuitos para clientes que se realizam normalmente no período da manhã são muito propícios ao Networking e permite a partilha de experiências entre a comunidade.. No Avila Coworking podemos encontrar um serviço de excelência numa das melhores zonas de Lisboa. Cara Filomena, agradecemos sua review. será sempre bem-vinda ao Avila! Great coworking space in the center of Lisbon. Superb customer service, nice atmosphere, and good price! The centrality, the well-being, the services included and the technology are some of the most important aspects. 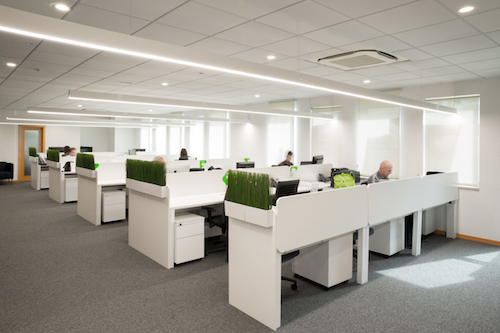 Avila Spaces provides all requirements, being able to install your office in 24h hours. The center is provided with furnished offices and fully equipped in noble areas of Lisbon – AV. da República and AV. João Crisóstomo (Saldanha). Customisation and quality, following a unique dinamic of a turn key system is real. We just need to be concerned about your business. I really recomend Avila Space for cooworking and small sites. Este espaço é moderno, com iluminação natural e reúne todas as condições para que o nosso trabalho flua da melhor forma. O espírito deste projeto destaca-se pelo ótimo ambiente que nos é proporcionado e que faz com que este seja sem dúvida, o melhor cowork de Lisboa. Ótimos recursos e internet super rápida e eficiente. A localização do espaço é muito central e com excelentes acessos quer seja pelo metro, autocarro. É sem dúvida uma ótima opção. Trabalho normalmente em casa, mas confesso que este espaço é convidativo, e estar rodeado de outras pessoas que trabalham apaixonadamente faz com que se crie uma otima atmosfera propicia também a troca de ideias, contactos com pessoas com perspectivas muitas das vezes diferentes mas sem qualquer dúvida enriquecedoras. Cara Helena, muito obrigado pela sua review. Será sempre bem-vinda ao Avila Spaces! Friendly, comfy and lively - Avila coworking strikes the right balance between a calm office and a place with plenty of opportunities to learn, network and for enjoyment as well. Great place to work on a project that requires concentration, silence, but also to receive clients and partners, as well as having a coffee with a coworker or new acquaintenance. It has an outstanding location: really close to the airport, subway. 5 mins from the city center. 2m from a great shopping area, great mix of traditional coffee shops and trendy trendy restaurants. And last but not least: a fantastic support team, always very helpful and willing to go above and beyond!! There are no impossibles!!! 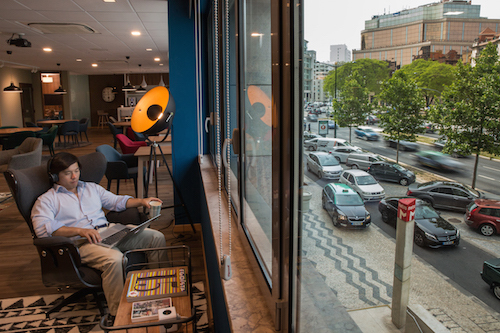 "5* TOP NOTCH cowork space in central Lisbon!" The differentiated spaces for differentiated needs are all TOP Notch quality and cozy feel as if working from home with all the conditions to work. And then it has location, location, location! Plus free coffee and snacks and an outdoor area? And offering events with top speakers, advisors and mentors. Do I need to say more? :-) Ávila Coworking is undoubtedly one of the best offers in the Lisbon market for co-work spaces. Either for a larger team at assigned spaces or for a small team or individuals that require just a fews days, This is definetely one of the Cowork solutions one should seriously consider. "It's the best coworking space in Lisbon"
We've chosen Avila as our coworking space in Lisbon, because it's the best in Lisbon. As a dynamic experience-driven research company, we sure pay attention in every single detail about experience. And to work at Avila is, for sure, a pleasure experience. 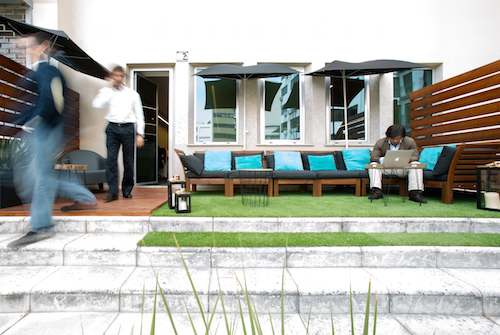 This coworking space has a quiet and respectful enviroment, with cool and new furniture in a great location. Avila is right in front of the Saldanha tube station and has excelente restaurant options within a stone's throw distance. But, most of all, it's the best choice because Avila is a pro business enviroment and it's management is always promoting networking opportunities and excelent workshops as well. "Excelente Espaço Com tremenda localização e comodidades"
Aconselho este espaço por tudo o que oferece, conforto, decoração, utilidades ao dispôr das pessoas que o usam, tudo de maneira muito convidativa e com um toque original e familiar. Recomendarei exaustivamente este sítio porque não ha sitios como este em Lisboa. Parabéns pelo projecto. I advise this space for everything it offers, confort, decoration of the place, everything fits and works nicely with an original and familiar touch. I will for sure recommend this place as there are almost nothing like this in all of Lisboa. Congratulations for the initiative. and keep up the good work. will return very soon. Caro Guilherme, agradecemos a sua review! "The place is clean, nice and have comfortable places to sit and work. The atmosphere is great." The location is great, very close to a metro station and at the heart of Lisbon entrepreneur center. It has a more quiet part, with individual desks, and a part with groups desks where people can talk more. There is a small kitchen for those who prefer to bring their own lunch and heat up. There is also free coffee. In general, the place is really good for working individually or in small groups, and the price is fair. I just didn't talk much with other people using the space, maybe is not common to network in this co-working, or maybe I didn't spend enough time. Muito obrigado Carlos , é sempre bem-vindo ao Avila Coworking! "The best Cowork in Lisbon"
Avila Coworking is a pleasant and friendly place to work in the city of Lisbon. The space is very well decorated and organized. The location is great. There are always events that are great for promoting the business network. I have had the opportunity to use the space on several occasions, both for work and also for meetings and my experience has always been very pleasant. Definitely a place I recommend. For me, it's the best cowork place in Lisbon. If you ar thinking to find a place to work alone or with your company you should pick Avila Cowork. Thank you Bárbara, you are always welcome at Avila Coworking! 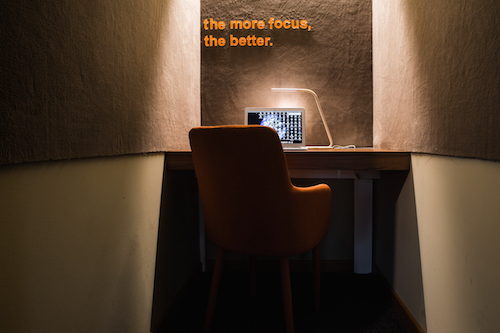 "Perfect location in Lisbon city center"
Avila Coworking has a perfect location where its slogan: WORK RELAX ENJOY make all sense! Close to all types of shops, cafes, bars, and restaurants where you can get all you want for lunch or dinner. Great way to work either individually or in teams. 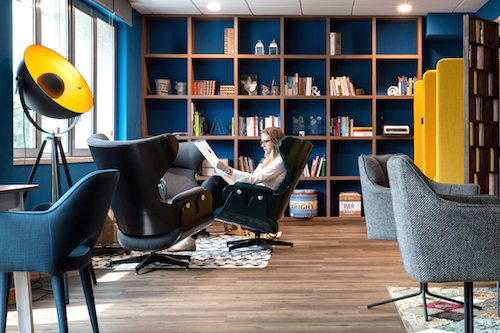 Bright and comfortable working spaces that keep you inspired, focused and productive throughout the day, including excellent possibilities to refuel with tea or coffee if needed. The staff is very helpful and friendly. It became more to me than just a working space. It' sa true family. Keep up the good work. Definitely a place highly recommended! Thank you Mário, Good to know you love Avila Spaces! Recomendo o Ávila Spaces por ser um coworking excelente. Excelente, porque o espaço em si é muito descontraído, decoração muito zen, o que faz com que o trabalho em si seja muito produtivo. A relação preço qualidade é também muito boa, pois a localização é no coração de Lisboa, tendo acesso ao metro mesmo à porta. As salas de reuniões são muito acolhedoras, propiciando assim uma boa imagem aos nossos clientes. Tem um serviço personalizado de recepção, com atendimento telefónico em nosso nome ou de empresa. Confesso que fiz amigos na Ávila Spaces, bem como ajuda de outros utentes na mesma área de negócio. Recomendo o Ávila Spaces !! Thanks for your review, Tiago, you are very welcome at Avila! Ambiente acolhedor, silencio, tudo à disposição para poder trabalhar em sossego e em boa companhia. O meu espaço é muito confortável, os acessos são excelentes, é o centro de Lisboa, com todas as vantagens que conhecemos. A decoração do espaço é muito bem desenhada, torna o ambiente muito simpático e (quase) dá vontade de trabalhar. A companhia está optima, malta de todas as idades, de todos os géneros e de todas as áreas de negócio, o que também é bom para novos contactos para a minha actividade. Acima de tudo, os preços são altamente convidativos, pelo que valeu mesmo a pena. Cara Ágata, muito obrigado pela sua Review! "Nice place to work and focus but also to relax and have a meaning conversations"
Liked the atmosphere and the set up all along. The people are nice and helpfull. In the center of Lisbon, there you can find everything you need to be online and producing in your line of business. You are near all services but also downtown an Bairro Alto are at a 10 minutes walk time for the night or evening fun. The light is suitable as also the furniture and facilities are very organized. Loved the experience most of all because the city and the Cowork is full of people from all around and we can find different point of view about the same subjects. Caro Pedro, muito obrigado pela sua mensagem! Shopping Mall Atrium Saldanha just 2 minutes away ! there is a eclair cafe, just around the corner that is a great place to relax before going back to business . If you want an inspiring and functional place with good atmosphere and everything you need to work, it's the right place. Plenty of nice spots around as Avila is located in the heart of Lisbon. Also easy to move from and to Avila, with subway just outside the door. Lots of places to eat on the area, besides two comercial centers and many transportation options. Whoever chooses this place, prefers the quality and the optimal relation of price versus quality with set of benefits. the surroundings are full of excellent bakerys and restaurants to eat, specially Av. Duqye de Avilla. Talk to the host, Carlos! spring time is always a good call to do team meetings at the pateo (deck) area. The facilities are all very good. A curva de um sorriso. great spot, very quiet with nice restaurants and caffes nearby. Espaço muito bom para trabalhar, numa localização excelente. Network and smile, work hard, dream big and have an awesome business card! Great terrace. Fresh fruit. subway station at the door and parking on the main building. For a nice afternoon snack, Choupana Café. The neighborhood is great, there are lots of restaurants and it is really close to the subway (metro). Ciclovias e sistema de bike sharing nas proximidades. Enjoy Lisbon´s 300 sunny days per year at the pateo. This is an amazing space for informal meetings, calls or even for having a coffee. 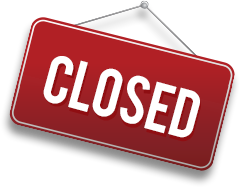 Avila Spaces will be in touch with you soon to confirm. Avila Spaces has received your membership enquiry and will be in touch with you soon.